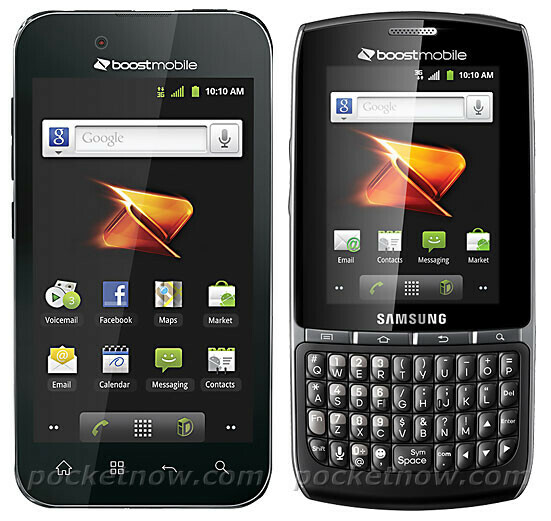 Heading to Boost Mobile’s lineup sometime in the near future are a couple of Android-powered smartphones known as the LG Optimus Black and the Samsung Replenish that will surely entice some new customers. At this moment there is no official word on when these handsets will be launched on the no-contract carrier. Their impending arrival was solidified by the press photo that both handsets have posed for. The LG Optimus Black features a 4-inch display while the Samsung Replenish only has a 2.8-inch display but adds a portrait-style QWERTY keyboard. These two devices will add to what is becoming a pretty solid Boost Mobile lineup that already features the Samsung Galaxy Prevail and the Samsung Transform Ultra. Pricing and availability are still a mystery but you can probably expect to see these smartphones hit the shelves sometime in early 2012. Eh, im on t-mobiles prepaid monthly4g. 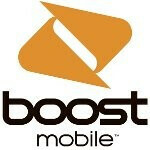 I dont like sprint's prepaid boost and virgin mobile. Horrible customer service, overpriced and underpowered phones,, no 4g and the inability to use an unlocked phone were the reasons i left virgin mobile. I said f#@k it bought an unlocked g2x and a prepaid sim and never looked back. I'm a Virgin Mobile Customer....and bought the Motorola Triumph...the rumor was that this phone was coming to VM, but I guess not. Time to make the switch next year...better phone...cheaper plan $50 for unlimited everything, PLUS the Shrinkage plan until your at $35 a month! SWEET! trying to go with the hype but you cant afford it. then blame it on the network provider. tell them its overpriced because you cant pay for it. They also got another 4 inch screen phone the ZTE warp. Its not too bad. The ZTE Warp has a 4.3" screen and were offering the phone at 30% off just a few weeks earlier. Funny how this article doesn't mention how the ZTE Warp isn't in Boost Mobile's solid lineup. I bought that phone and quickly returned it for the Samsung Transform Ultra. If this LG Optimus Black is worth it, sign me up....oh wait....forgot there is no contract. Good to see how prepaid is treading on the heels of postpaid carriers.